WOW! Embossing Powder and Whimsy Stamps have come together for a collaborative blog hop and today I'm excited to share the projects I've made with all the awesome goodies! You should have arrived here from Jennifer Dove's blog, but you can find the complete blog hop list as well at the end of this post, in case you're lost. 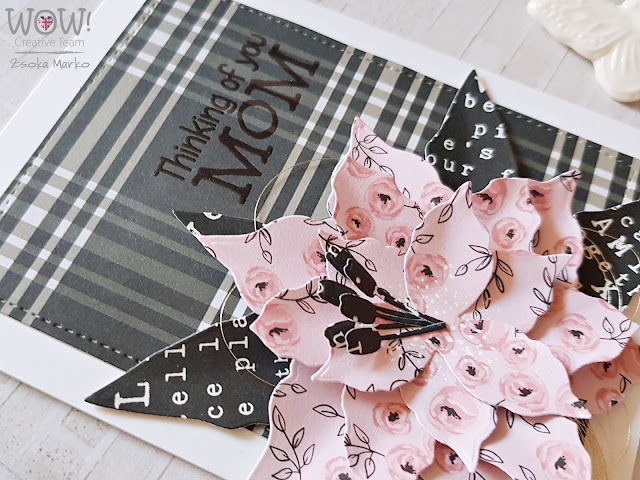 I chose the Mother Love stamp set for my sentiments because I didn't have anything for mother's day which is coming up soon. I love the mixed font in these sentiments! I used the Rose Glintz embossing powder on both of these cards. I love dies, especially ones that you can add dimension to your projects with. 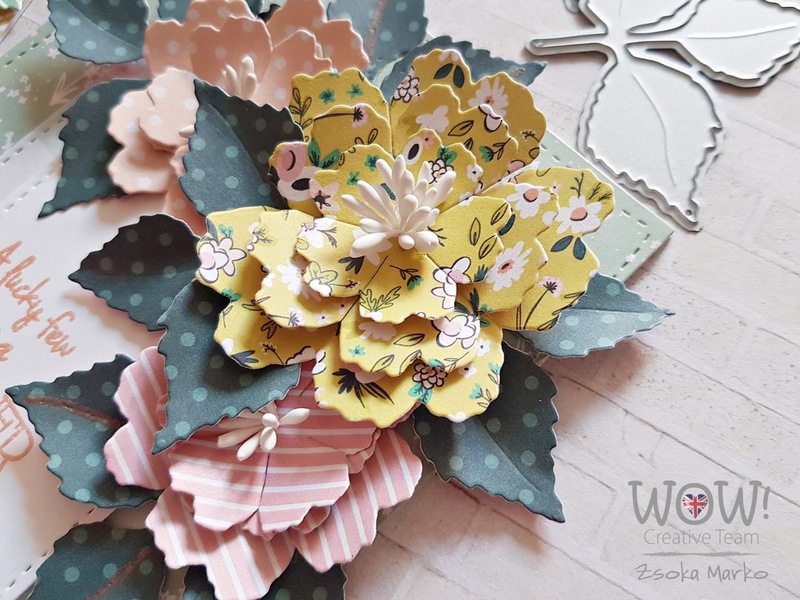 I used a couple of die sets on these two cards, for the backgrounds the Hand Stitched Nested Rectangles and for the pretty flowers the Peony Flower dies. The gorgeous papers are from the beautiful Jen Allyson/My Mind's Eye Splendor collection. I cut several rectangles and layered them up. I used foam adhesive to adhere the one on the top so it pops up and I could tuck some leaves behind it. I die cut a few flowers and leaves and played around with the arrangement until I was happy with how they looked. I added a few dots of Rose Glintz embossing powder to some of the leaves too. I glued everything in place and done! My third card is the exact same idea with less layers and a different flower die, the Lily Flower die set. The papers are from the above mentioned Splendor collection as well as another beautiful My Mind's Eye collection, Gingham Farms. I made this card right after I had worked on one where I used an opaque yellow embossing powder and it didn't register with me that not all powders will act the same way haha! As in, they are translucent rather than opaque. Hence the Soft Mango powder in this photo but a clear looking sentiment on the card :D. I actually prefer it this way - just wanted to explain why you see Soft Mango in the picture. You can totally go with the clear powder though haha! Now for the fun! 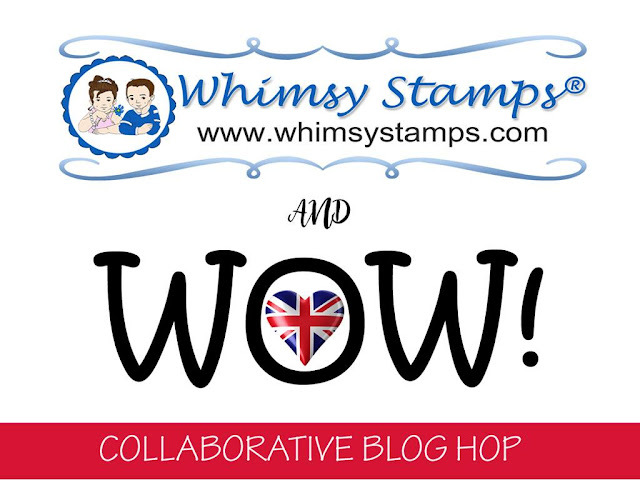 No Blog Hop is complete without a prize! WOW! Embossing Powders is giving away 6 powders of your choosing along with a WOW carry case to store your powders safely in. Winners will be chosen at random in the week of the 22nd April from the comments left on all the posts. 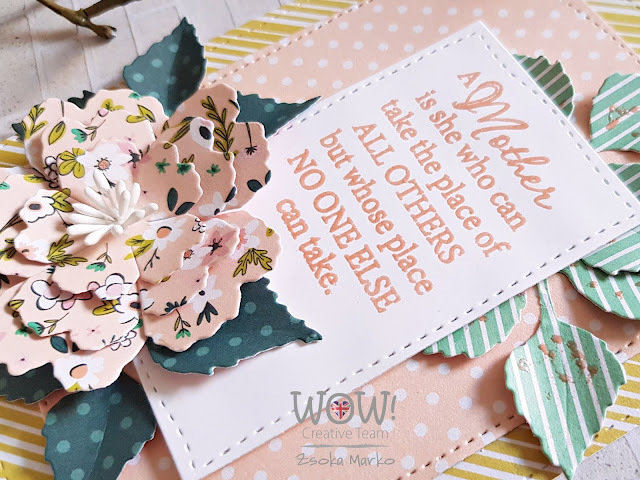 To join this Giveaway you must leave a comment on each blog post until April 18, 2019. Open internationally! I hope you've found some inspiration in today's post! Your next stop is the wonderful Jenny Colacicco's blog! These are very pretty! :) Love all of the layers. Beautiful cards! I love all the dimension! Love the texture and shine the embossing powders add! Beautiful, love all the layering to your flowers.. Very pretty cards....I so love the sentiment that you used. And those words are so very true. My mother has passed and I miss her so much every day. But when the sun is shining and flowers are about blooming....it reminds me of what love she had for me and for family...and she is in Heaven now for sure. I celebrate those precious memories of her. Thank you so much for sharing your pretty work. I appreciate it greatly. I hope you have a blessed weekend. Beautiful layered flowers! 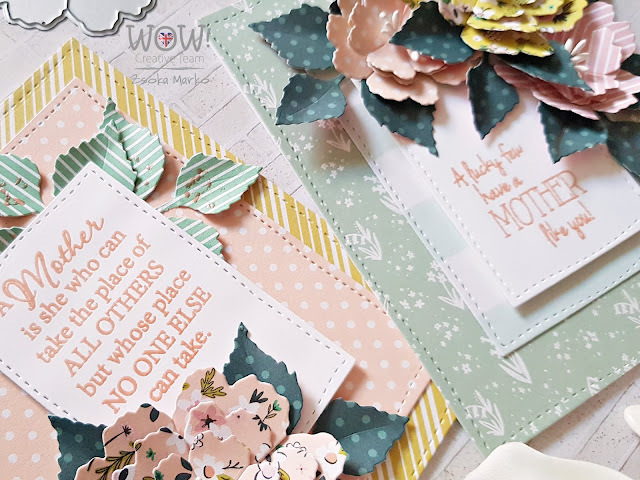 I love the pattern papers and the way you embossed the sentiment! So sweet for mom! The stamens on the lily really make it look real. Don’t think I’ve seen your cards before.... love them! Love the Whimsy and Wow make great cards!! Great cards and I love the beautiful layers! Wow so much dimension, the flowers look so pretty! These cards are fantastic. Just love the layered flowers. Mom will be thrilled. Beautiful. Love your bouquets on a card. And your sentiments work perfectly for Mother's Day. Love how the flowers its it so much dimension. Beautiful! Love the color of that Mango embossing powder. Your cards make such a beautiful statement. Thank you! Oh my, the work that went into these. So, so pretty! The papers are just gorgeous! Wow! I'm totally in love for your stunning cards!!! So pretty. I like the layered flowers. Your flowers look just wonderful. I love how you used decorator paper!